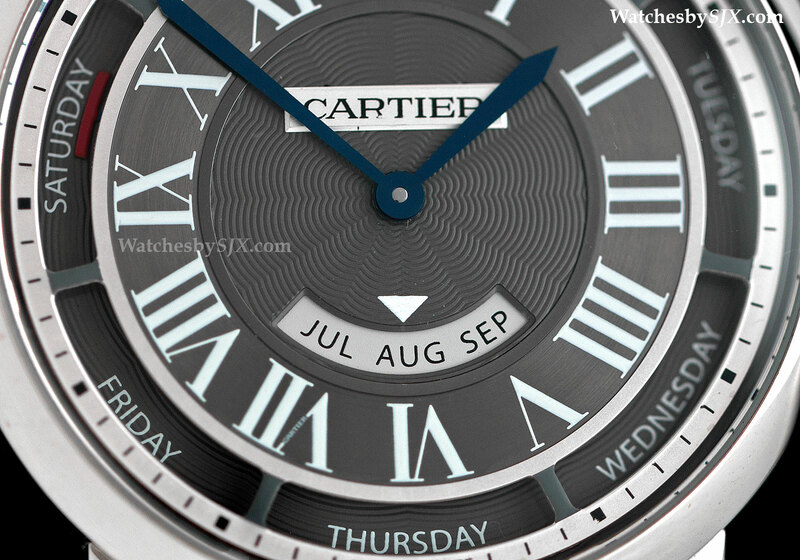 At SIHH 2015 Cartier will officially introduce a slimmed down version of the Rotonde de Cartier Annual Calendar in a 40 mm case, while retaining the clever calendar display. 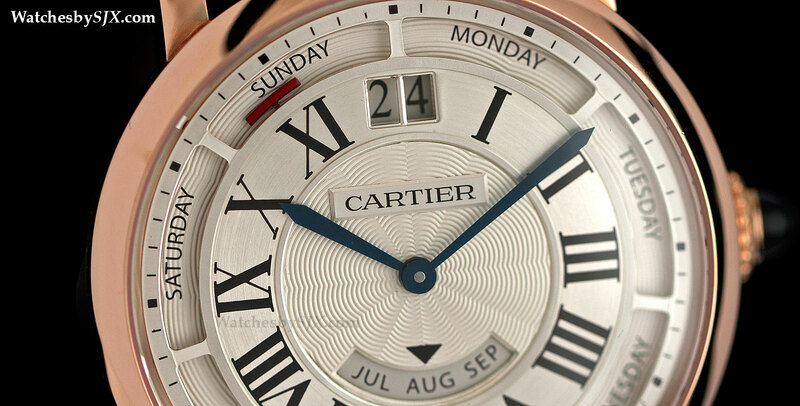 Two years ago Cartier introduced its first annual calendar, combining its in-house automatic calibre with a novel calendar display. The next SIHH will see a face-lifted version of the Rotonde de Cartier Annual Calendar take to the stage, equipped with a cleaner, clearer dial, and a smaller, 40 mm case. The dial of the annual calendar is essentially twin-layered. 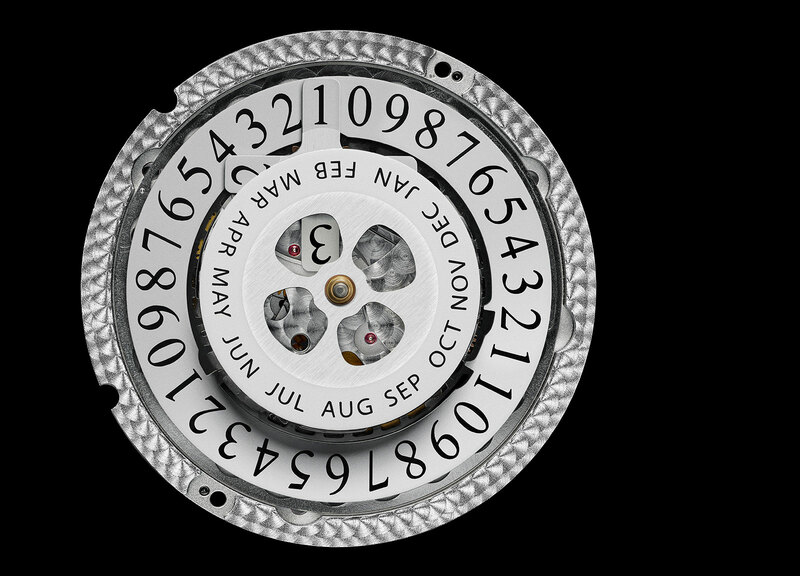 The bottom layer contains the calendar discs or indications, with the day display on the outermost ring of the dial. A red marker indicates the current day. Like the day the month indicator is a dragging display, meaning it continually moves as the time passes. The reason for that is to minimise the torque required, which in turn ensures the balance wheel maintains its amplitude (meaning it keeps oscillating through a large angle) throughout the day, resulting in better timekeeping. But because the dial is on two levels, the big date is set deep in. 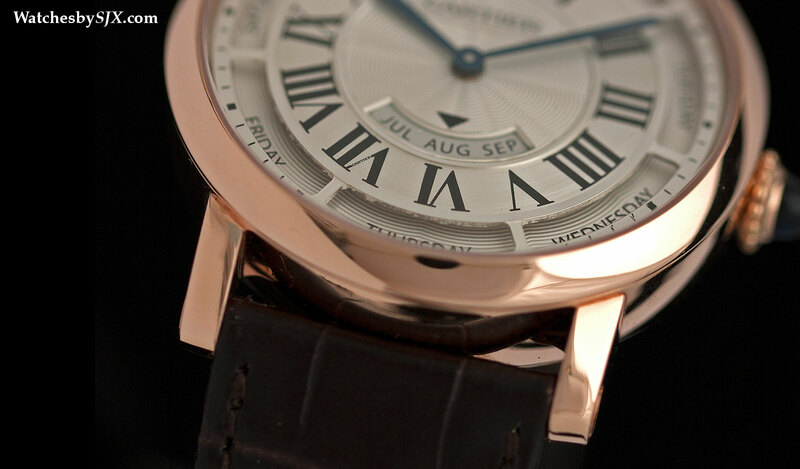 Though legible from the front, at certain angles it is partially obscured by the depth of the dial. Compared to the larger 45 mm model, the new annual calendar is eminently wearable and practical. 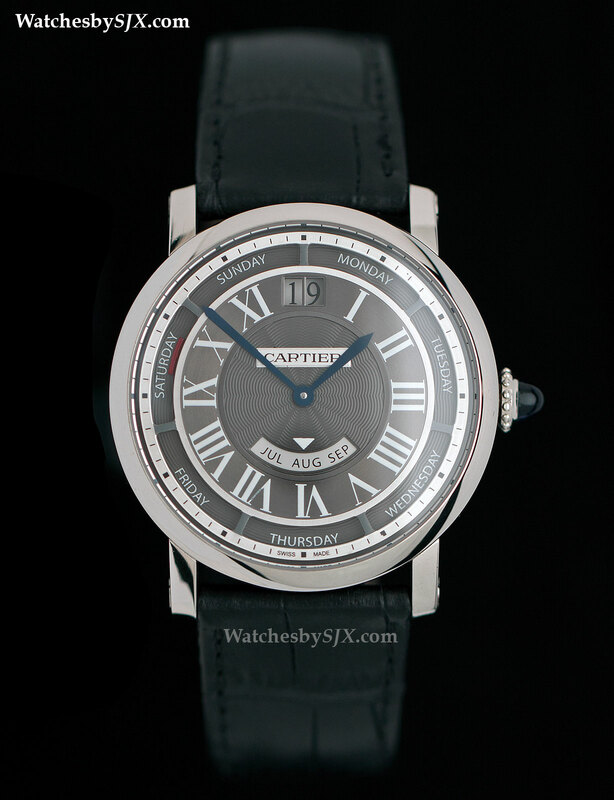 The silvered dial (as compared to the two tone, grey and silver dial of the first version) is also more attractive and quintessentially Cartier, with the Roman numerals and blued steel hands that are the brand’s signature. 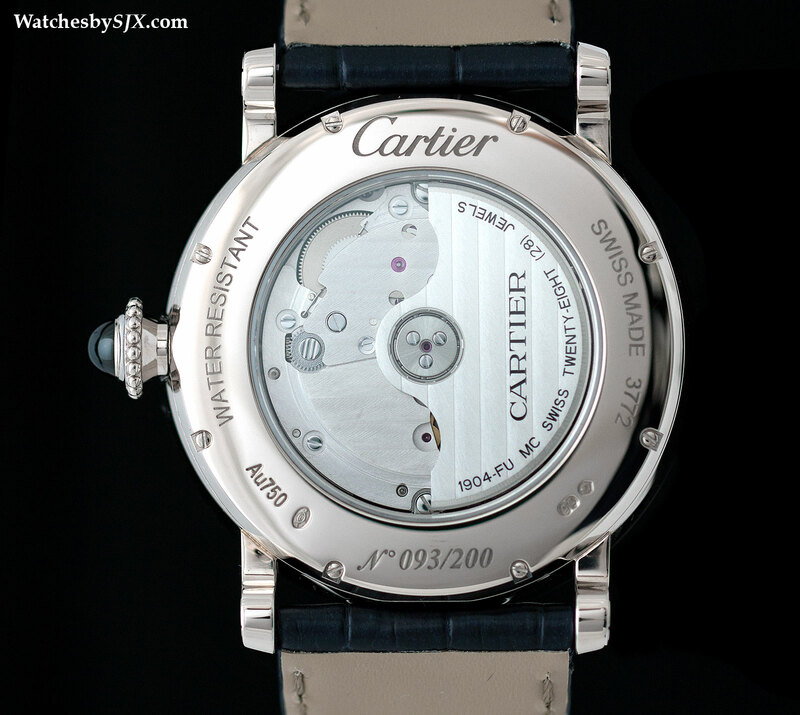 The movement inside is the same as the first generation, based on the in-house 1904 MC. While it is a robust and reliable movement, the monochromatic decoration lacks flair. 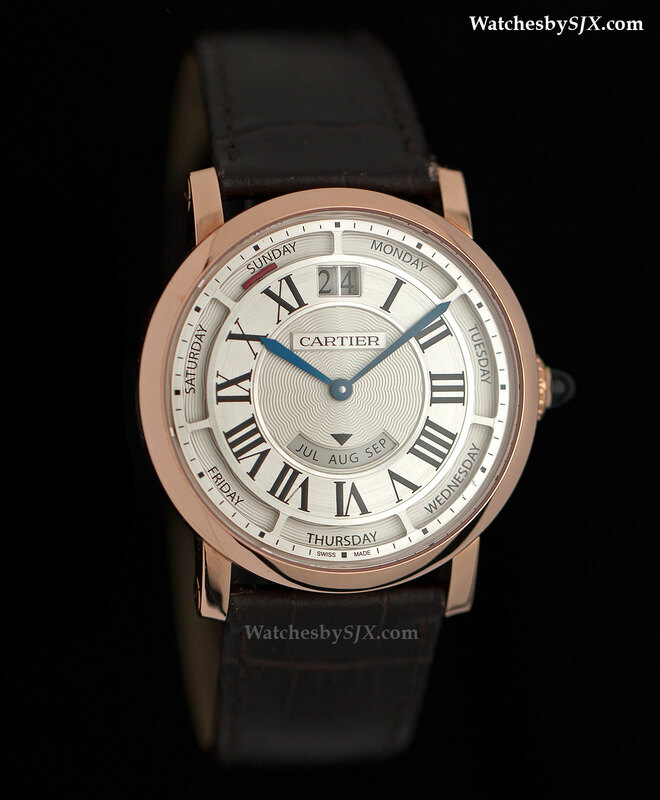 The Rotonde de Cartier Annual Calendar 40 mm is priced at €25,000 in rose gold and €26,800 in white gold.